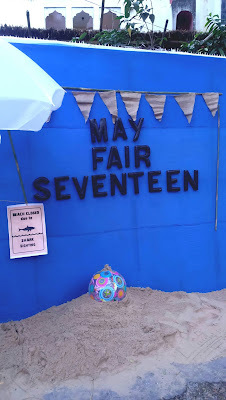 I am trying to keep up with my busy schedule and find some time for these little pretty fairs coming up often in my city Kolkata. 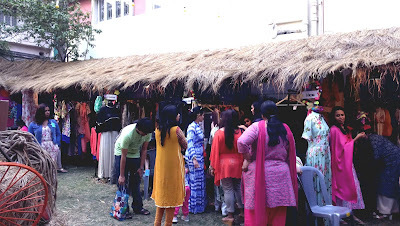 Shack Style hosted some 45 small stalls of local designers showcasing dainty earcuffs, neckpieces, bangles and our most favourite Chandrabali. 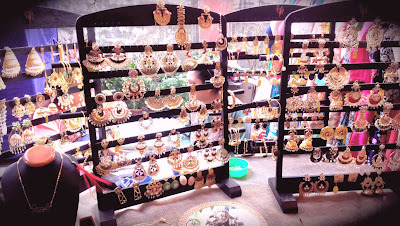 I was almost awestruck to find such beautiful earrings.These would go perfectly with any kind of outfit from lehenga to saree or event bridal dresses.You just need to put them on your ears and you are ready to shine.Here I am posting a picture and you will definitely fall in love with them. 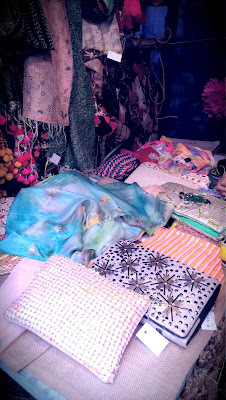 The lust list at Shack Style didn't get over here, there were bunch of beautiful scarves and pretty dresses, quirky shirts, traditional jootis. 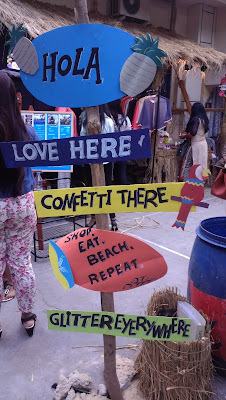 When it comes to food at fair, here food was quirky too... Yes!! You heard it right.. chocolate flavored popcorns, cool milkshakes and "mazedar" chai. I have got myself a blue coloured cocktail dress, soon to be posted on the blog. And when it comes to your mind, How did I look or dress up?.. The answer is here.. I have worn a nautical print maxi dress with cocktail ring and brown bag, my favourite watch with bracelet and slippers yes..
Flipflops was a part of dresscode.